Traditionally, legends, fables, and fairy tales have been one of the main ways of generating and transmitting human knowledge. They help articulate the social and material reality of life. Constantly updating, these tales are an open, flexible structure through which new hybrid visions, existing between nature and culture, can be reinscribed within our societies. Breaking away from narrow binary regimes of modernity like male/female or true/false, legends propose alternative models for organizing our reality. Often existing outside of official contexts like sciences or law, mythic models of creation and dissemination allow for new roles in the decision-making process. Women, racial and ethnic minorities, nonhuman animals, plants, seeds, rocks, bacteria, even unicorns, assume protagonism in the popular sphere. Tales are lasting examples of everyday practices that incorporate the less official—alternative, marginal, or even bizarre discourses that are always taking place behind the public tribunal. Through myths, we can work in line with an ecologically connected world to rethink scenarios that could effectively incorporate the subjectivity of otherness into a more collective whole. When inserted into a contemporary ethical and political framework, these mythologies can be recontextualized as valuable tools for learning and observation in architecture. 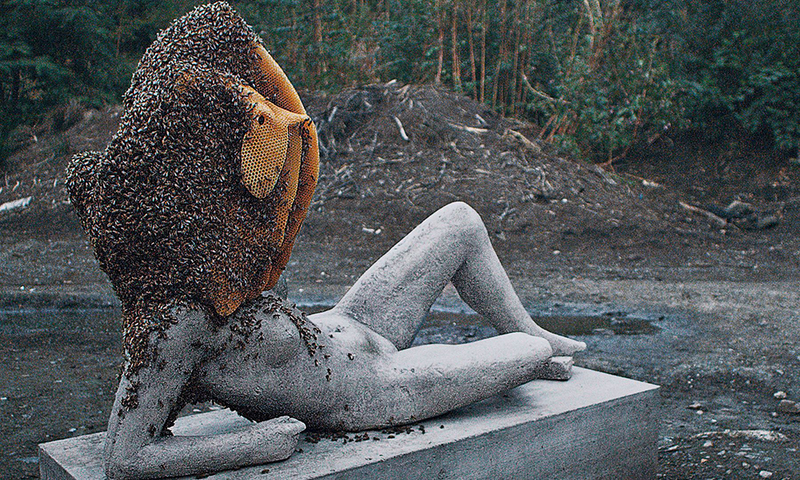 Much like the work of artist Pierre Huyghe, anonymity, intentional ambiguity, and hidden codes of legend are far from banal or irrelevant—they carve out space for new starting points and meanings. Previous pieces have featured Ekene Ijeoma on the American flag, Nancy Davidson considering a weather balloon, and Gaetano Pesce reminiscing on using a Giacometti sculpture for a coat rack.